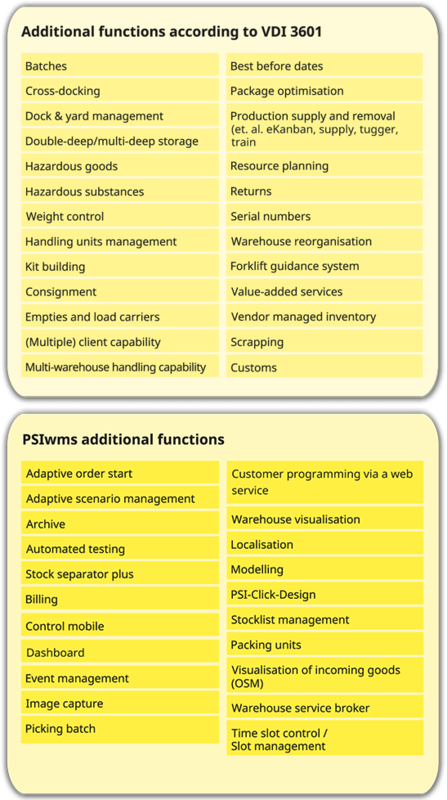 PSIwms supports all relevant warehouse forms, types and technologies in a standard system. It can also be used in a production-related warehouse, i.e. a dispatch warehouse or distribution centre. PSIwms is equally suitable for small, as well as large and complex warehouses. Thanks to continuous development, you can always enjoy state-of-the-art technology with PSIwms - regardless of the degree of customisation - 100 % releasable! Different interfaces enable the parallel use of "old" devices and devices of the latest generation. In addition to the Oracle database system, we will also support MS SQL Server in the future. PSI-Click-Design allows you to easily adapt your PSIwms user interface to your individual needs. Menus, lists, tables or complex dialogs can be moved by Drag&Drop. Several individual dialogs can be process-oriented linked to a new mask, so that you can see all desired information directly in this single mask and navigate through the data by clicking. All these possibilities are available to you immediately and without detours. For more videos "PSI-Click-Design" click here. regarding the tasks and performance areas of an IT system for warehouse management. Click on one of the function sections and go to the relevant function description. 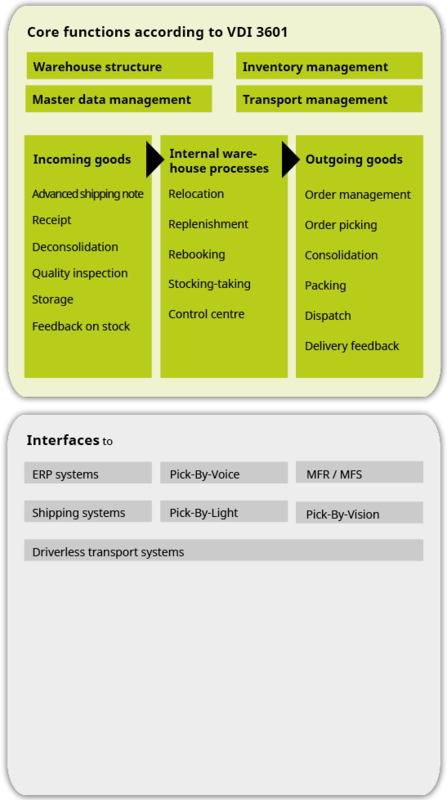 Many medium-sized and large companies are already optimising their logistics warehouses with PSIwms.